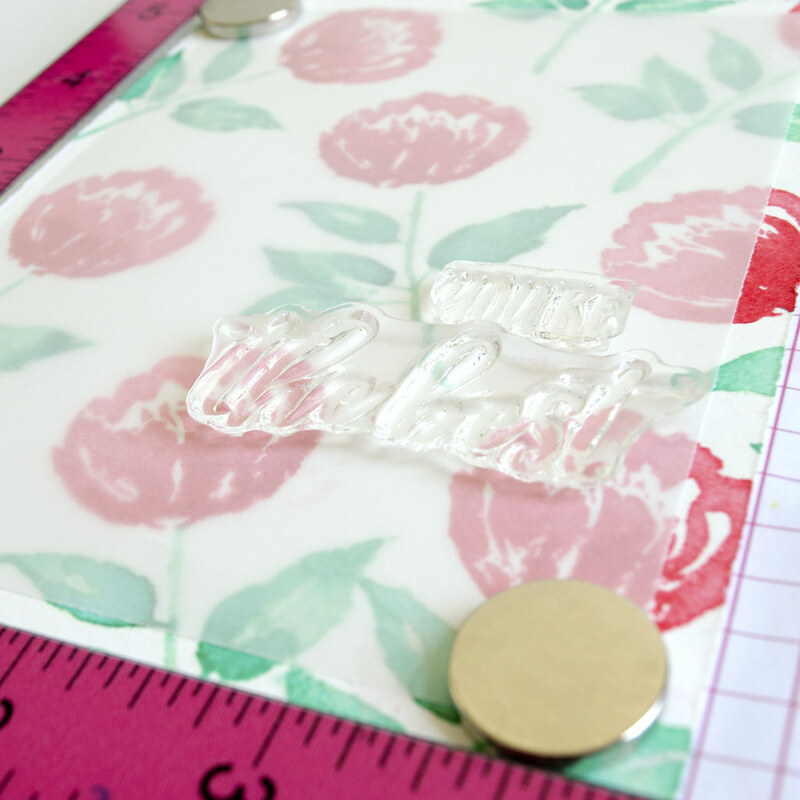 mama elephant | design blog: Guest Designer - Rubeena from A Rare Ruby! Guest Designer - Rubeena from A Rare Ruby! Hello, friends! I am guest blogging for Mama Elephant today, using two sets from their newest release. You can find more of my work at A Rare Ruby. 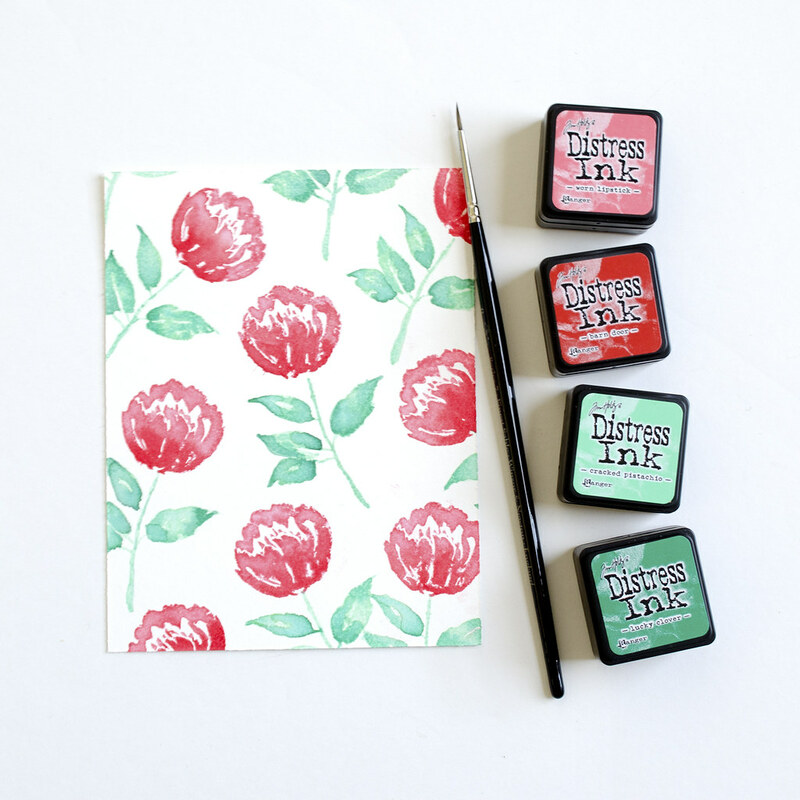 This is a really exciting opportunity for me because Mama Elephant has been one of my favorite stamp companies since I started crafting two years ago. I also had the joy of attending their birthday parties in NYC! I have two cards to share with you today. :) The first stamp set I played with is Girlfriends. I created a framed look with Framed Tags - Madison Ave - Creative Cuts and the girls in the frame. 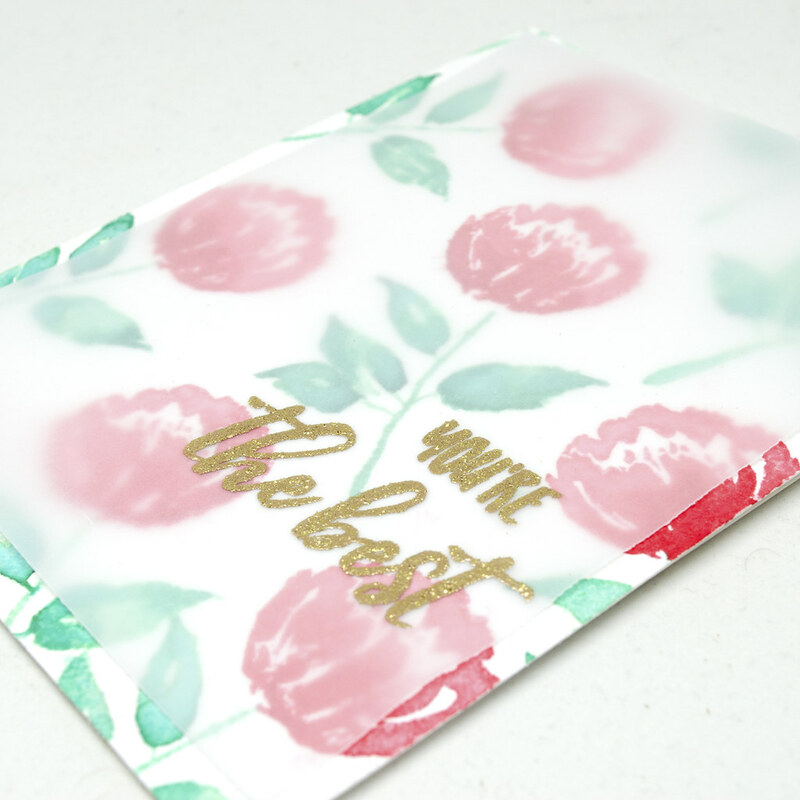 These ladies are perfect for cards for all your lady friends! I stamped and colored them all with Copic markers. I used some of the sentiments to create a very light background and arranged the frame diagonally above it. Before gluing down the girls or the frame, I added a touch of yellow to the background. 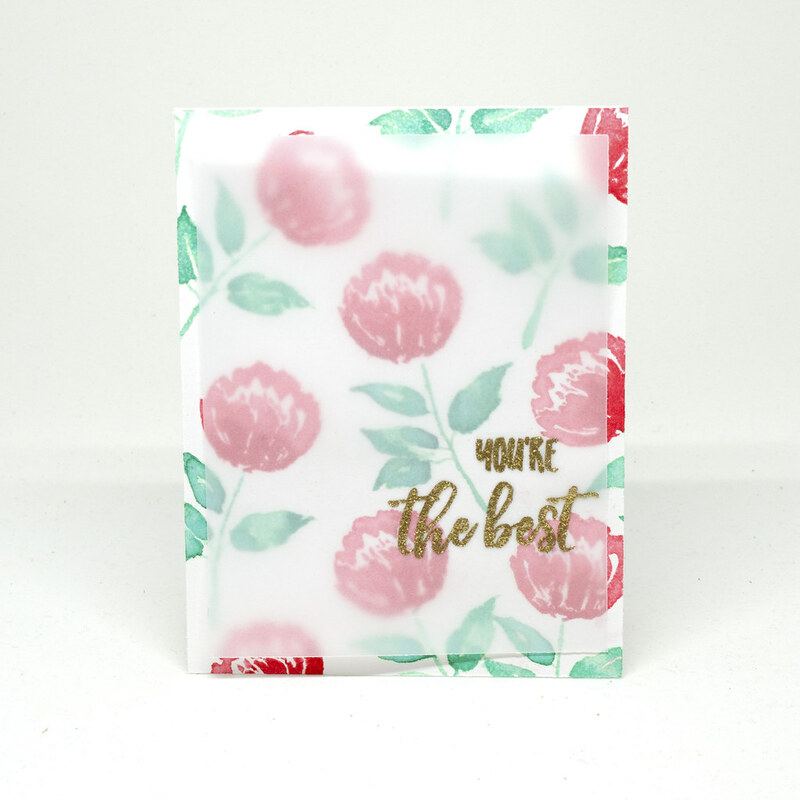 For my second card, I used Brushed Florals. So many possibilities with this set! I wanted a watercolor look so I colored with Distress Inks, which react with water. I stamped all the images with the lighter shades and then added watercolor with the light and dark shades for the reds and greens. Since the colors are bold, I wanted to add a sheet of velllum over the base. I stamped the sentiment on the vellum and heat embossed with gold glitter embossing powder. I added glue behind the sentiment so it wouldn't peek through. I hope you enjoyed my cards today Thank you so much for visiting! I love this card. Ruby is the best! 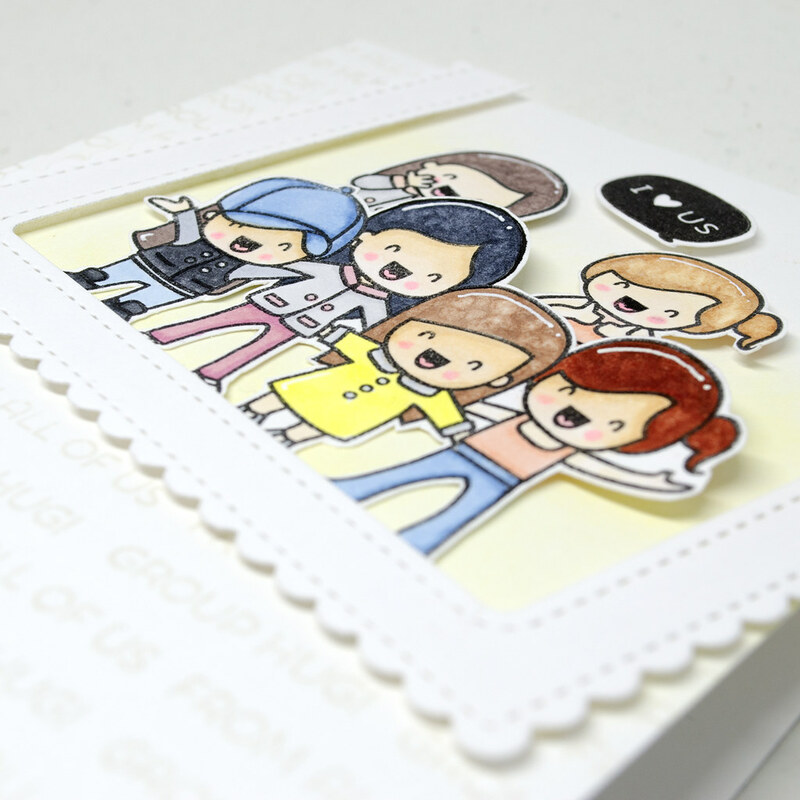 Hi Ruby, cute friends card! I love the watcolor flowers, I like that technique and the colors are perfect. Thanks for sharing and inspiring. WOW - awesome cards - love the delightful photo of girlfriends - they are colored so amazingly and the card is perfectly styled!! Your flower card is so pretty and blooming gorgeous!! Love the colors!! Great cards, the floral one is so pretty!